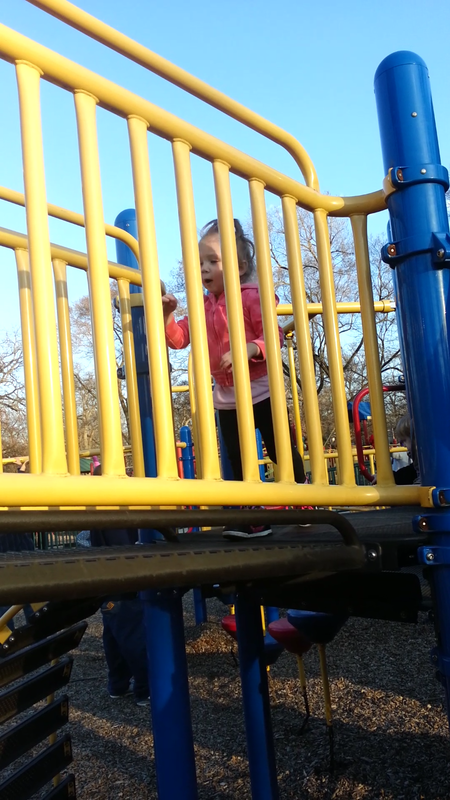 Abridged – My Niece is fun, hills and wind are not. Today was supposed to be weigh in day. I didn’t weigh myself. I’ve been sick, tired, and eating terribly. That doesn’t mean I was completely inactive though! Most of my exercise these past few days have been in the form of child chasing. Thursday night I worked for a few hours at my church. Every other Thursday night I watch a bunch of 2-5 year olds there while their moms enjoy MOPS (Mothers of Preschoolers). I was dreading going because I had sat on the couch all day feeling sick and sorry for myself, but I didn’t want to cancel because I cancelled a few weeks ago when I was sick (because I get sick every dang time I start a new job). So I went and vowed to myself that I would find a quiet, shy kid to cuddle with all night. Ha! What a joke. I got there and the kids immediately asked if we could play “the money game”. The game where they pretend they have money and I chase them around trying to get it. I couldn’t say no, so I ran circles around a table for at least 25 minutes. Surprisingly, I felt better after I ran around! Most of the day Friday, I felt sickly again. I knew that activity would help, and the weather was absolute perfection (70 and sunny with hardly a breeze!) for the first time in I can’t even remember how long. So I called up my sister (who’s about to start Couch to 5K next week!) and we met up at the park to walk and play with my niece on the playground. Our walk was nice, but the playground was so. much. FUN! My niece is just about 2 and a half and we were a little worried that she would get pushed around by the bigger kids. When we first parked the stroller, she looked a little nervous. There were tons of kids out playing. I went onto the playground with her and showed her how to climb up the steps, get across the bridge, and crawl through the tunnel. Then we tried a slide. 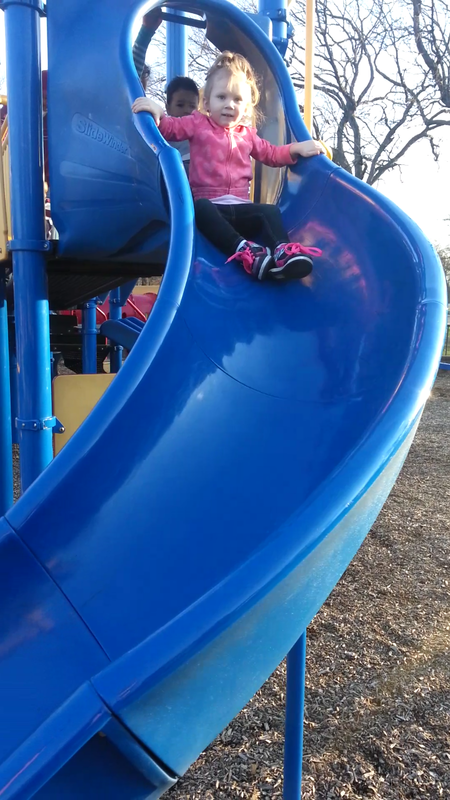 It was actually two slides next to each other so we each sat on one and held hands as we slid down. She was smiling, so we tried a bigger slide and she sat on my lap. A little giggle that time. We tried a covered slide together and after that she was off on her own climbing up the stairs and sliding down the big slide all by herself. It made me a little sad seeing how grown up she’s getting – she’s not a baby anymore! But it was so fun to see her so independent, excited, and brave. Big girl climbing up the stairs! Yelling “go!” and sprinting down the walkway. 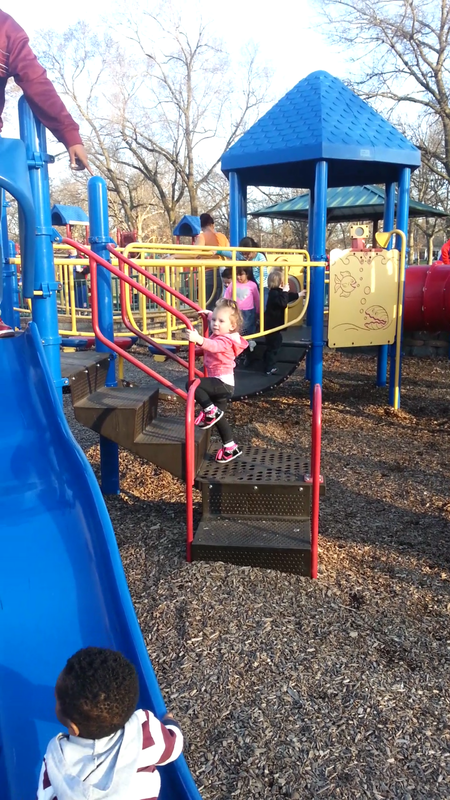 On the big slide all by herself! This morning was running group. I felt a little better so I went and my husband woke up on time so he came too. The weather was pretty nice, and there was a big group this time. 27 people ran this morning! 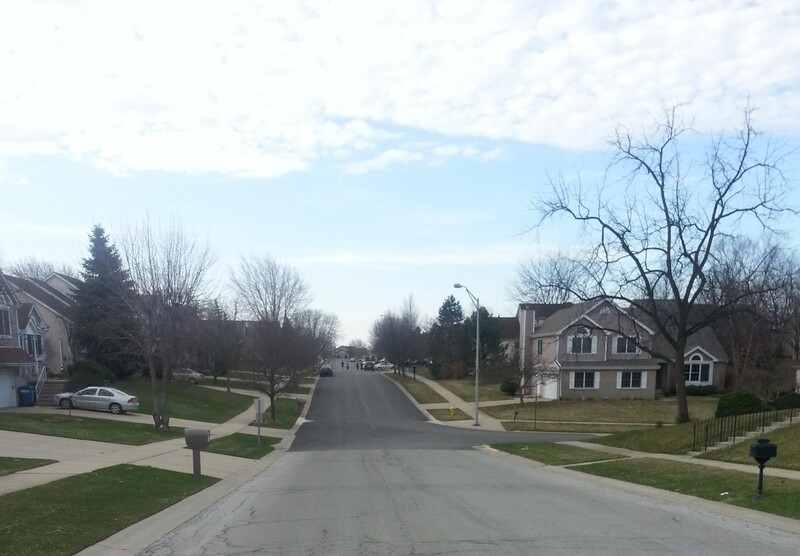 I did 4 miles in the neighborhood by our church where we’re currently meeting. I wasn’t sure if I wanted to stick with my normal minimum of 3 miles or not, but I decided a mile into the run to do 4. I hadn’t really workout much this week and I knew I didn’t have much else to do today if it really burned me out. 2 miles in I still felt great. One of my favorite songs came on my Pandora shuffle and I was flying. Then I turned the corner. Between 10mph head winds and 3 blocks of a fair sized hill we’ve lovingly deemed “Mount Dyer”, I had the hardest time keeping up my pace. In fact, I walked a couple times. My overall time and average pace weren’t bad, 36 minutes 21 seconds with an average pace of 9 minutes 6 seconds per mile, but my splits were terrible! 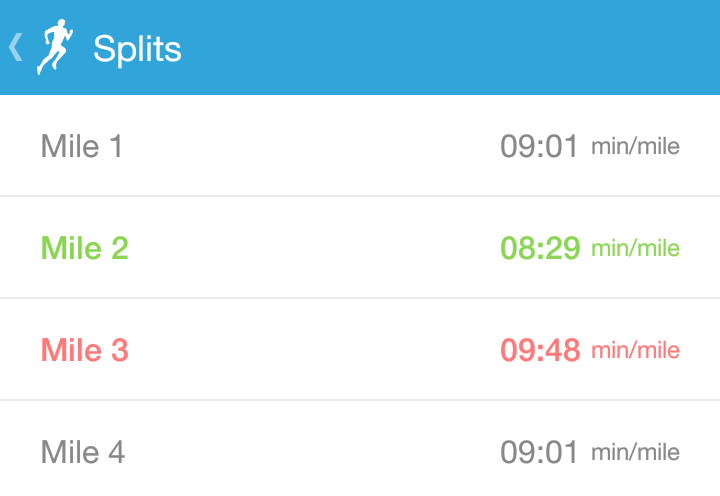 I’m really trying to work on starting slow so I’ll be able to run the entire marathon, so I’ve been keeping better track of my split times. This route is just hard to run, you have to force yourself to run slow going downhill at the beginning to have energy to run uphill at the end. Next week begins base training for the marathon. I’m already past that point really, but it’s kind of the start of committing to this for me. Also, I’ll be running with my sister as she works herself through the Couch to 5K program. Running season is officially here! Bring it on!